Bring a feel of the tropics home with one of our conversation groups. 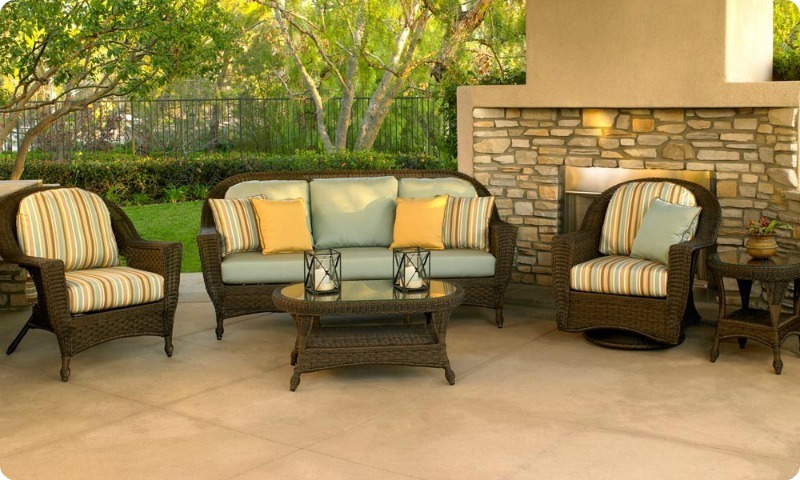 Great for porches, patios, decks, and sunrooms, they are available in a variety of finishes. If there is a combination that would fit you space better you can order individual pieces at the same great price. We only sell outdoor wicker with aluminum frames at Wicker Imports, so rest assured that you never have to worry about rust or any maintenance . We manufacture our own premium cushions in house to ensure quality and offer a wider range of fabrics. Includes loveseat, chair, end table and coffee table. Includes sofa, loveseat, end table and coffee table. Includes loveseat, chair, swivel glider and coffee table. Includes sofa, loveseat, chair, end table and coffee table. Includes loveseat, chair, rocker, and coffee table. Includes loveseat, 2 chairs, end table, and coffee table.